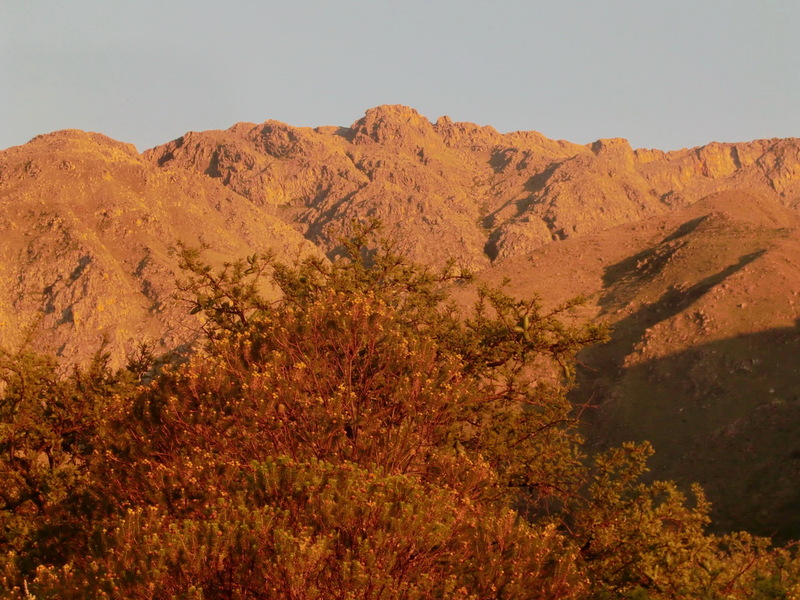 Sierras de Cordoba is the biggest mountain range in Central Argentina. They are located west of the city Cordoba and more than 500km long, North to South direction. 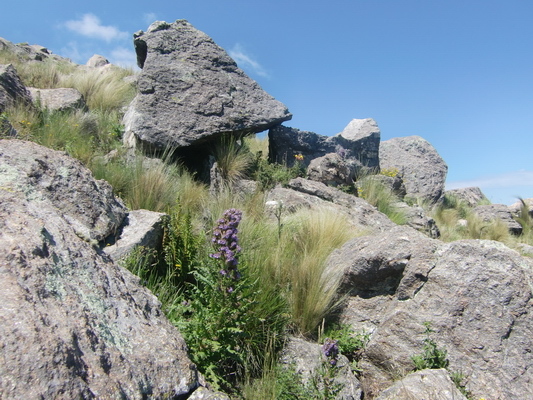 Their highest point is the Cerro Champaqui with 2884 meters. 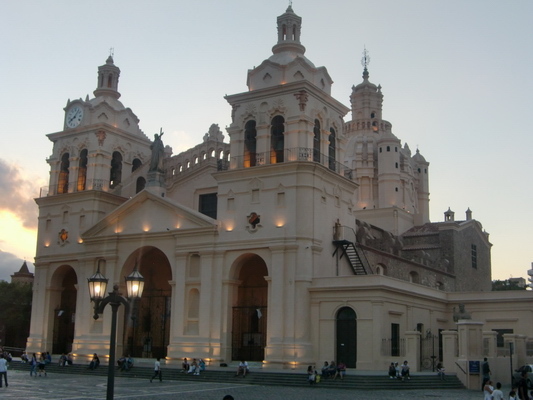 We started our trip in Cordoba, the second biggest city in Argentina. Cordoba is very well known in Austria as well as in Germany, because the German soccer team lost against Austria 2:3 at the 1978 world championship. Cordoba's size is similar to Munich; approximately 1.3 Million people are living there. It has a pleasant inner city and it is famous for the university, its buildings and churches, which are some of the nicest in Argentina. Our next station was Villa Carlos Paz, on foot of the sierra along a nice river and an artificial lake. 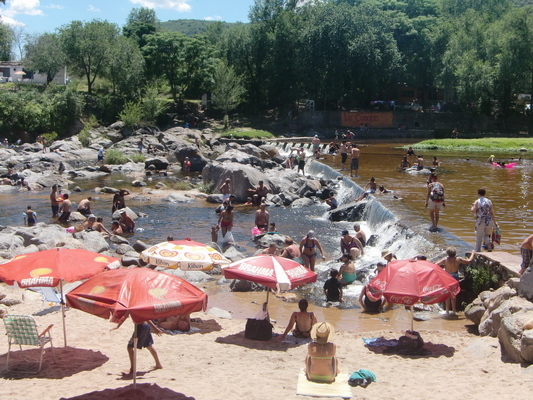 It is a typical Argentine vacation destination and January is the holiday month. So we enjoyed many people, a lot of noise, busy streets and restaurants. 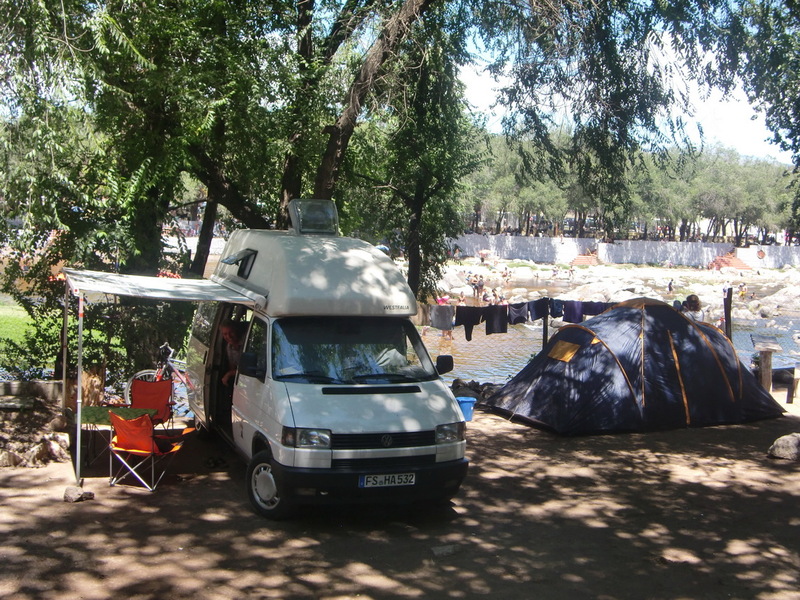 But we found a very nice camping place at the golden beach Playa de Oro (GPS coordinates: S31° 27.298' W64° 30.576'). It was incredible how the beach and water was filled with people, particular in the afternoon and evening. It seems that Argentines love crowds; for sure they are fond of music and barbecue. Every group has its own heavy music equipment to listen in maximum level to Argentine schmaltzy songs the whole day. The water temperature is closed to 30° Celsius, the same as the air. 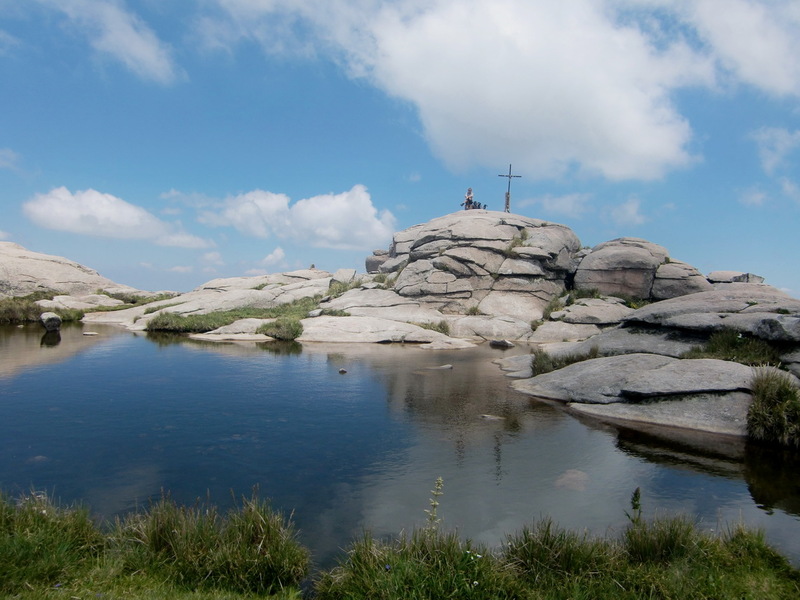 On the second day, we walked about one hour to a small view point, the Cerro La Cruz. 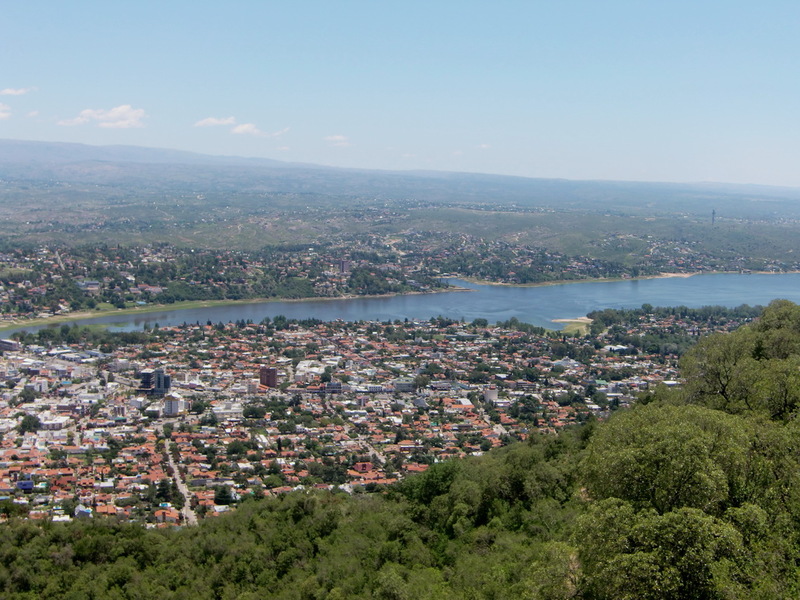 The view to Villa Carlos Paz with its river and artificial lake was spectacular. And we found our first Geo Cache in South America on this hill. We had three Travel Bugs from Germany in our luggage and we were happy to place them on the Cerro La Cruz cache GC15A3C. The next topic on our agenda was to climb the highest point of the Sierras de Cordoba. We had little information about the trip, just a hint in the Argentine travel guide and a path on the free electronic maps of Argentina (Mapear V9.10-Mapas Electronics Argentinos). So we drove to Los Molles, West of the Cerro Champaqui, because we had the feeling that this is the nicest way to the top. In the late evening we searched for the starting point of the hike and a safe parking place for our car. The area was a little bit confusing, because signs are relatively seldom in Argentina. In addition most of the people we asked were referring to mountain guides, which we definitely not wanted. It was already more or less dark, when we saw a young Lady and an elderly man. We were very happy and lucky, because they invited us for a beer and allowed us to sleep and park the car in front of their house, which is very closed to the starting point of the hike. 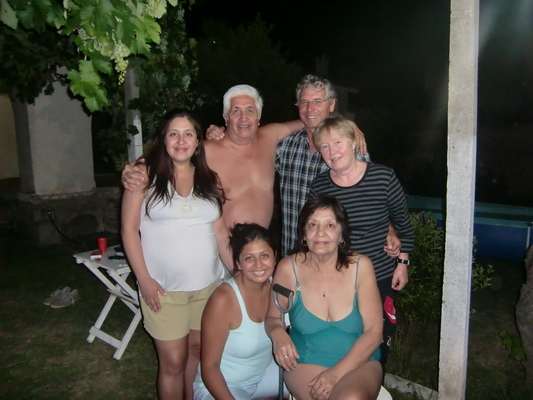 Pamela, the Lady, speaks very good English so we had a deep conversation about life, Argentina, mountains .... Her father, Jorge, gave us a very precious and helpful description of the hike including some handmade drawings and a good place for camping. After a short night, we started our hike at 6:00AM to avoid the main heat (Starting point of the hike: S31° 57.643' W65° 00.800'). Thanks to Jorge's description we found the campsite Hueco after just one mistake. The most part of the way to the camp we walked along a very clear small stream through a dense and magically forest. Nature makes the most impressive Christmas trees! Suddenly three bare footed people overtook us: An elderly German Argentine man, a young girl and a man. Going bare footed seemed dangerous for us, because we had seen a snake few minutes before. It was approximately 40cm long, earth brown and had a flat head - maybe a cobra? 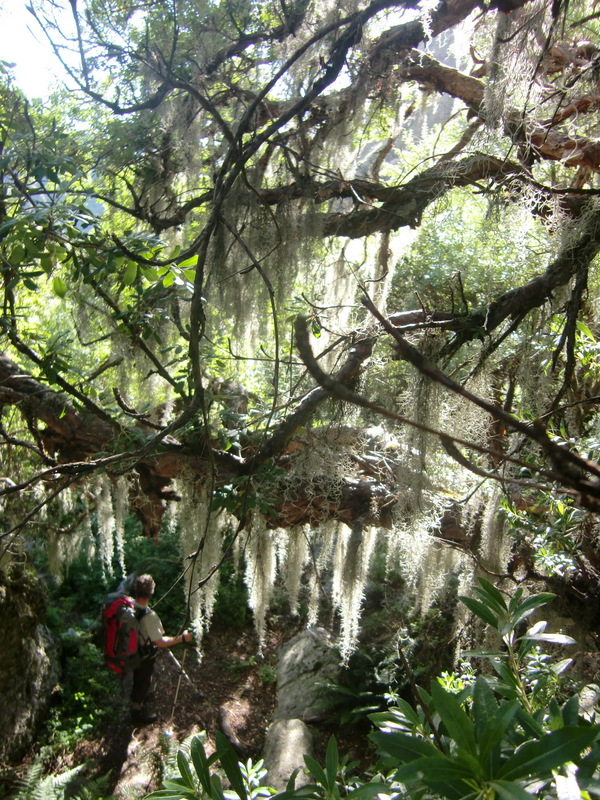 Early afternoon we achieved the camp, the "Hueco", which is approximately 1900 meters high. 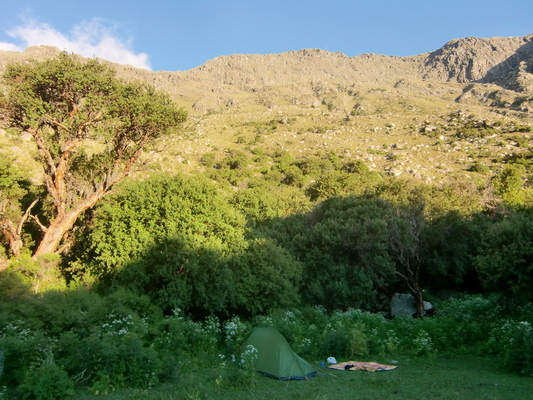 It is a wonderful meadow, surrounded by trees, in a circle of approximately 50 meters (GPS coordinates: S31° 58.321' W64° 56.787')..
We were so tired, that we felt sleepy immediately we had built our tent. Our sleep was supported by the chanting and praying of the three bare footed people. This region of Argentina is famous for its spiritualism. Consequently many foreign people are in this area. When we awoke in the last sunlight, we were totally alone. We cooked our dinner, pearl barley soup with ham, and went into our sleeping bags again. Abruptly in the night we were startled by some noise outside: Cows were pasturing just in front of our tent. Two were chewing the hand loops of our trekking poles. They really enjoyed the salt from our sweat! So we were busy more or less the remaining night to keep the cows at bay. On the next morning we had trouble to find the way. The track on the GPS led us through very dense forest with many spiky trees and bushes. Short trousers meant a lot of scratches on the legs. Fortunately after one hour fight we found an acceptable path, just few hundred meters from the Hueco. We crossed very nice flower meadows with strange rocks on the way to the top. At noon we arrived at the top, which is 2886 meters high. It is a little bit volcano like with a lake in the center. 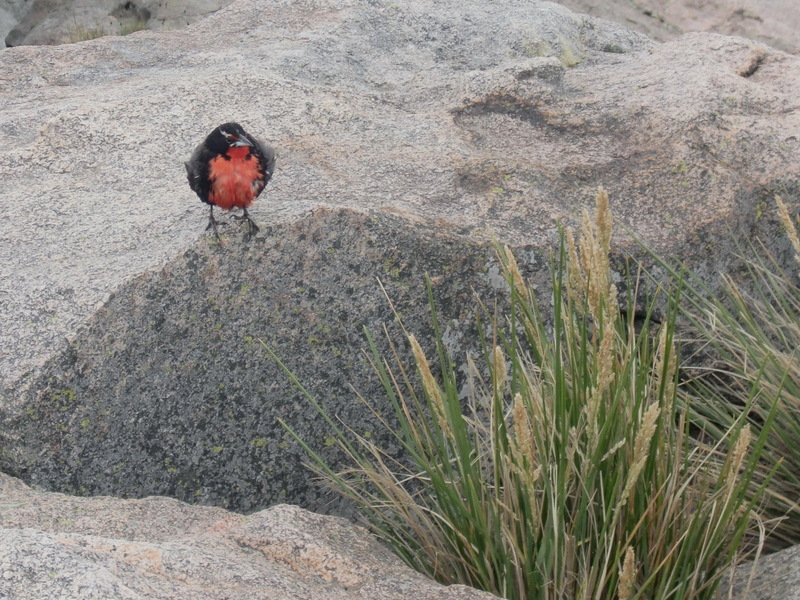 There were very nice birds on the summit (GPS coordinates: S31° 59.250' W64° 56.100'). 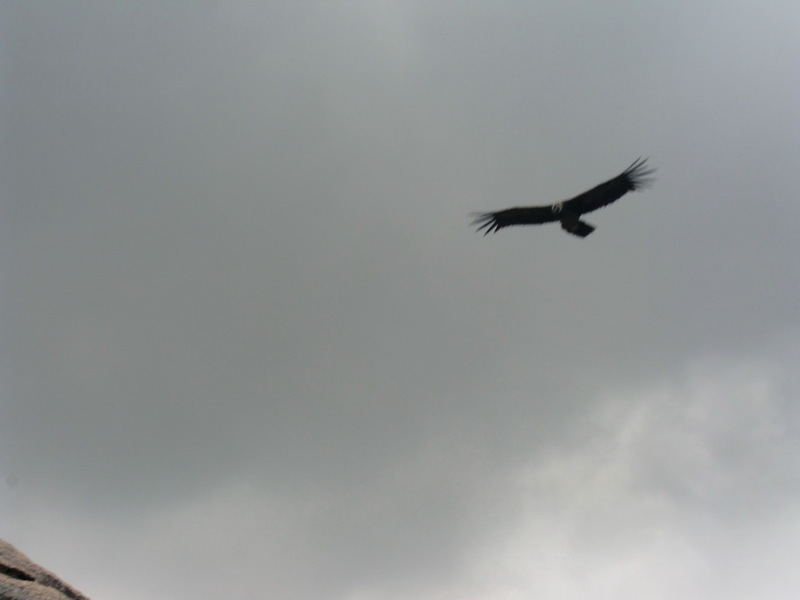 Suddenly two condors circled above us. It was stunning to see these majestic birds, the kings of the air. They came so close that the legs, head, and even the eyes were visible. This was the highlight of the day, maybe also of our trip up to now! The return to our car was long, long and long. At sunset, we still had more than 5km to go. But we had pretty view to the Cerro Champaqui. It was closed to 10:00PM, when we finally arrived at our car and our Argentine friends. Their hospitality was overwhelming: They had already prepared a fantastic dinner for us. Prior we could take a shower, which we definitely needed and enjoyed. Again this was a long evening with beer and red wine, the second highlight of the day. Jorge told us that we were extremely lucky seeing condors! Thank u so much for the wonderful words u wrote about us. It was a delight having u here, and remember u have a family in Argentina now! !